AVANOS* Disposable Polypectomy Snares are designed to provide the endoscopist with consistent loop configuration during repeated polypectomy. Provided in small, medium, and large loop sizes, the polypectomy snares utilizes soft stainless steel wire with a braid, oval configuration. The attached catheter uses Teflon®. The snare should not be used more than once. AVANOS* Disposable Polypectomy Snares are designed to provide the endoscopist with consistent loop configuration during repeated polypectomy. 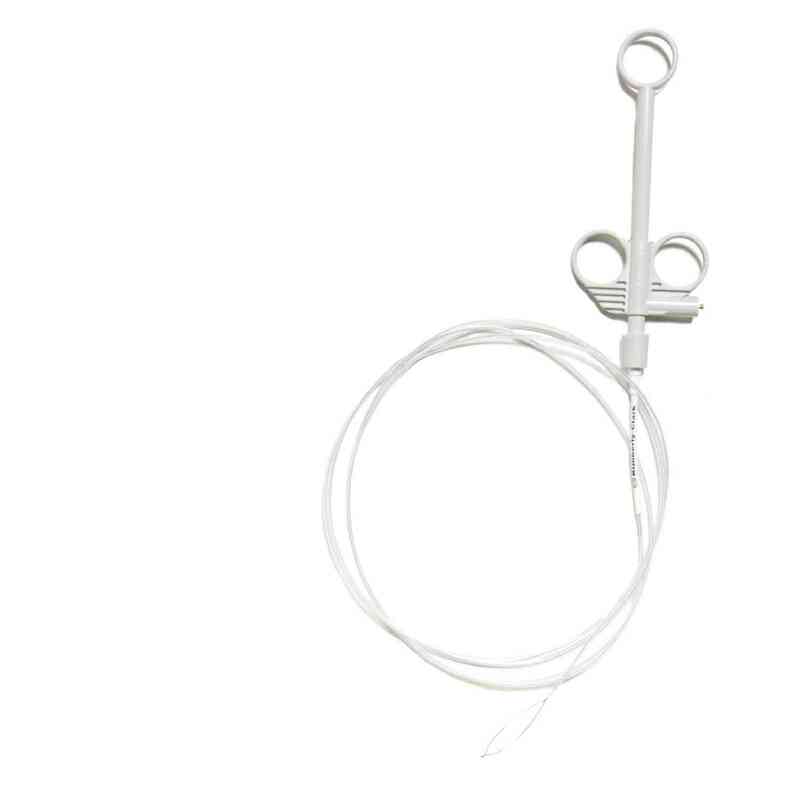 The loop of the polypectomy snare uses stainless steel wire with a braided construction. Unlike with multi-loop versions, the single-loop tool uses wire that is soft rather than rigid. Loops are available in small, medium, and large, all exhibiting an oval configuration. Accompanying the stainless steel loop is a catheter made Teflon®. The polypectomy snare is sterilized using Ethylene oxide. All polypectomy snares are intended to be single-use and are disposable. Each case holds 10 units.